Today we're highlighting these three faces: Baby Keem, Zach Zoya and SadFaceThuggin. We've always made a conscious effort to mine for and introduce new and undiscovered talent to HNHH. 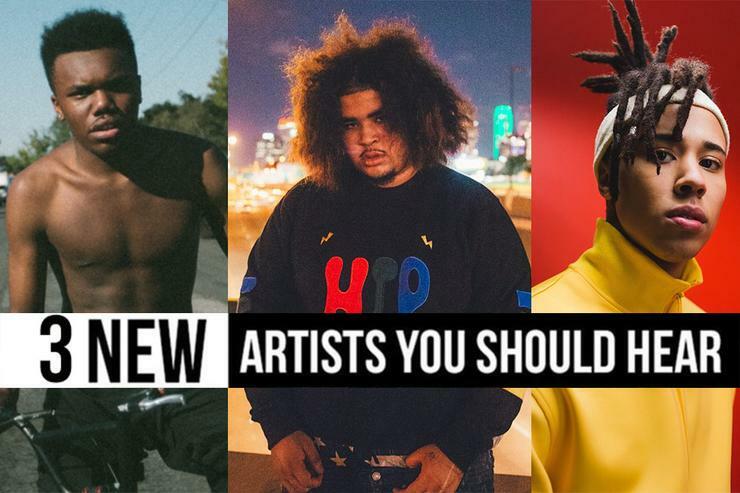 Without getting into the specifics (*eye roll emoji*), as a user, you'll likely know of a particular artist that you first encountered here on the HNHH pages. With that being said, we're continuing that effort with what should be a weekly feature (assuming we don't fall off again, because, life) that spotlights our favourite staff and user-submitted tracks, following our office's weekly music meeting. In an effort to include user/fan-submitted music as well, we also go through all our Soundcloud messages and pick out the best submissions we find to include in our meeting (please send us your most fire submissions, it can be your song or someone else's). When we're in submission-listening-mode, we send out a tweet like this, which we'll also double up on our Instagram - so if you follow us on either/or platforms, you'll be in the know (!). Now that you have the breakdown, take a look at this week's three new artist discoveries. This week is an odd one in that, every song that won was submitted by one of our staff writers (can you guess who submitted what from below?!!) -- no Soundcloud submissions are featured this week ): -- and each of these artists HAS actually been featured on the site in the past, albeit, in a small way (meaning one post or so). Let us know who you're digging the most from the three picks below, and who you'd like to see us post consistently on the site.